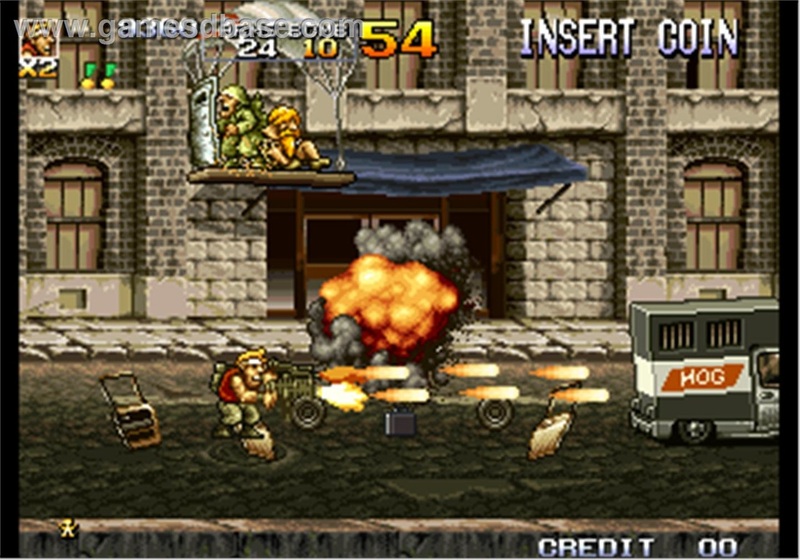 Metal Slug is a run and gun 2D platformer that was originally released in arcades in 1996. This is the first game in the series that features a gaming style that looks like hand drawn animation. It is a one or two player game that has some online co-op support depending on what copy of the game you have. An evil man named General Morden and his rebel army has launched a coup not against one country but against the whole planet. The world’s governments banded together to stop him by making new modern forms of all-terrain combat tanks called “Metal Slug”. General Morden finds and steals these tanks and now is in possession of the world most powerful weapon. Captain Marco Rossi and Lieutenant Tarma Roving of the Peregrine Falcon Strike Force are sent in to stop Morden and destroy Metal Slug if necessary. In the mid 90’s there were not very many new arcade games being made. In 1996 the PlayStation had brought 3D gaming home for people to play on their TVs and Nintendo was still having success with the Super Nintendo SNES and the N64 was about to be released later that year. Metal Slug kind of passed under the radar. Its unique art style still stands out. To this day there are not very many games of any kind that look like it or even play like it. We have no issues with any controls at all and the camera is smooth the whole time. It is a simple 2D run and gun platformer but you would be surprised of how many games still screw these things up. It looks great, plays great and likes to make the game fun by giving you lots a weapon power ups at the exact time you need them. 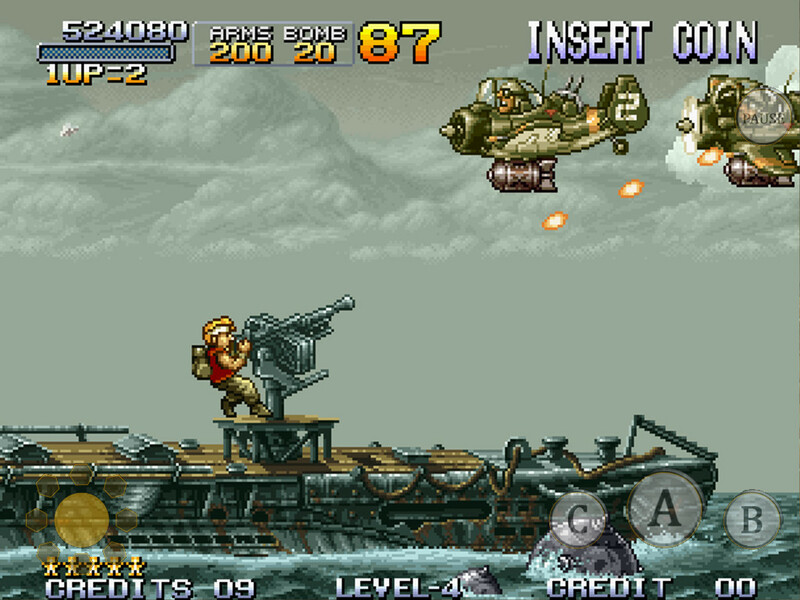 Metal Slug takes us about an hour or so each time through. But, it has a very high replay value. It is easy to pick and play and it is one of the rare games that gain a little extra something when you are playing at home as opposed to an arcade. 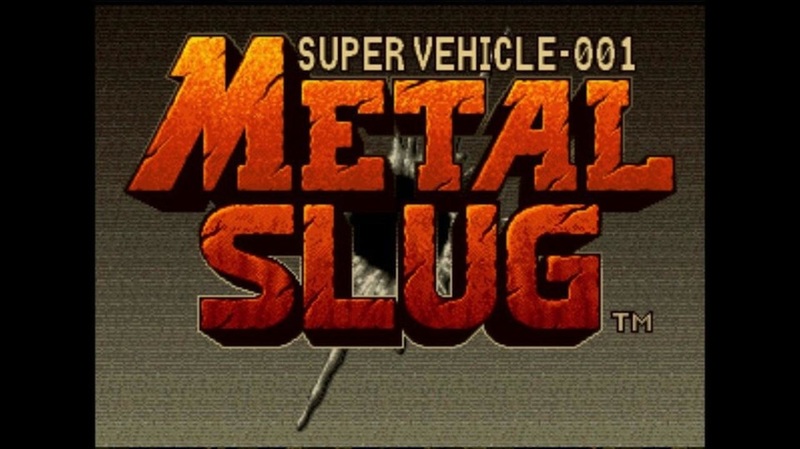 A great game for any type of gamer the only real problems is Metal Slug is really short and all of the Metal Slug games are kind of the same but they are all still worth playing and buying. Keep your price under $3 any more than that is too much.